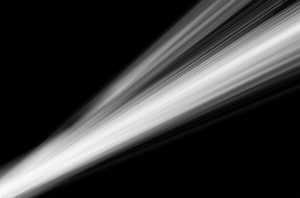 Utilizing a patented process SENJO SEIKI seeks to provide accurate, repeatable chamfering to the gear-manufacturing market. Read on for an introduction. 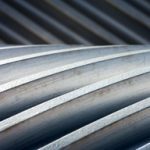 While the gear-making industry has seen many technology advances with respect to the sophistication of other necessary equipment, the process of gear chamfering in North America has made few—if any—real strides forward in the past decade. Even in the most sophisticated gear shops, as high as 95 percent of the gears are manually chamfered or deburred. Whether that is via hand grinding, filing, or brushing, the process is labor intensive and costly. That’s a huge percentage, especially given the fact that there are some machine options available that provide automated chamfering and deburring. Certain companies have entered the market with various types of equipment for automated chamfering and deburring. Because of their shortcomings, however, these machines often sit idle on a gear shop floor, only being used on a very small number of gears. The problem is often the inability of these machines to create a consistent and measurably repeatable chamfer from part to part. Another complaint is environmental concerns resulting from the high level of dust created by many of these machines. There are also some CNC-based machines for chamfering, but these machines require programming for each individual gear, resulting not only in a large capital investment, but also a large ongoing investment in skilled programmers. 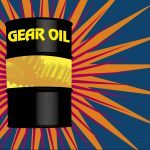 Ultimately, there has not been a consistently good option for what on the surface seems to be the fairly simple requirement of chamfering gears. 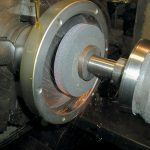 There is one Japanese machine manufacturer, however, that has overcome this impasse and is providing a completely unique and highly accurate method for chamfering gears. 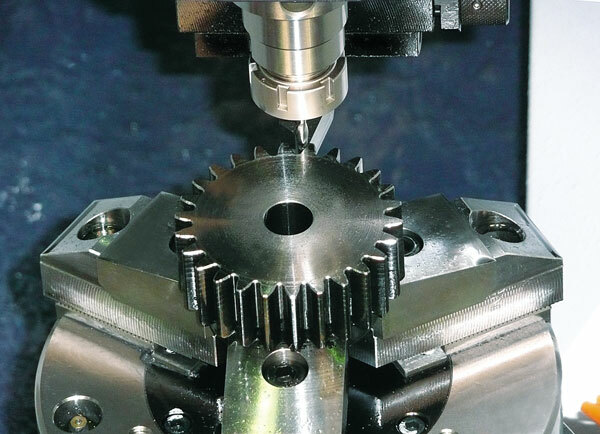 In 1997 SENJO SEIKI developed and patented a gear chamfering process that creates a highly uniform, accurate chamfer without the need for any computer programming or time-consuming machine setup. 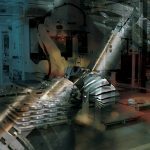 For more than a decade these machines have been used by gear manufacturers in Japan and throughout Asia to advance their gear-manufacturing process. 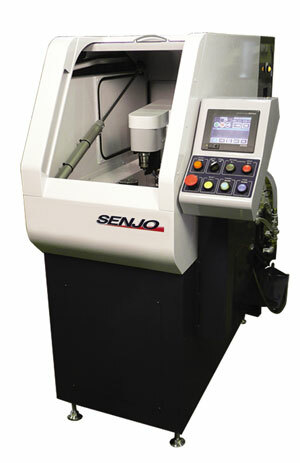 Since that time more than 2,000 SENJO Programless Chamfering (PLC Series) machines have been delivered. 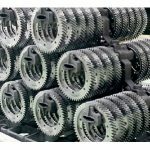 Now CENTRIC International, Inc., is bringing these patented chamfering machines to the American market to offer the first real advancement in the gear chamfering market in years. In support of this statement, a discussion of the company’s product line would be helpful. 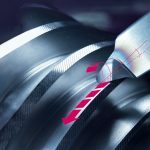 SENJO machines utilize a patented tracing system technology whereby a stylus traces the inner or outer periphery of a gear, guiding the cutter axis and creating a uniform, symmetrical chamfer and clean edge that requires no further finishing and is highly consistent from part to part. Since the cutter axis utilizes an ordinary end mill or insert, the finished quality of the chamfer is remarkably superior when compared to chamfers created with a grinding wheel or other abrasive tools. In addition to the unprecedented performance of the PLC Series machines, one of the key features of the machine is its incredible ease of operation. 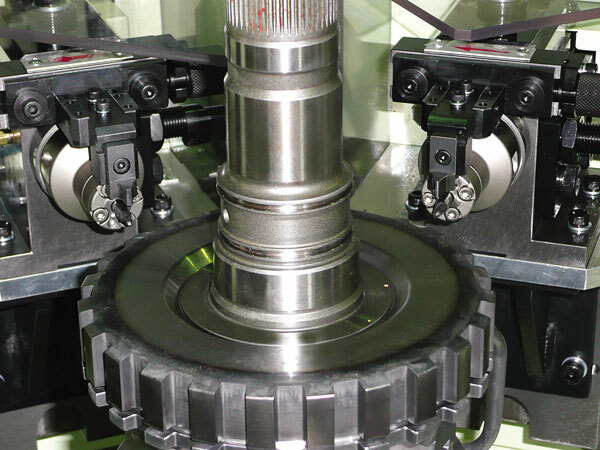 For the standard machines, the process begins by setting the gear in the work spindle fixture or chuck (see Figure 1). 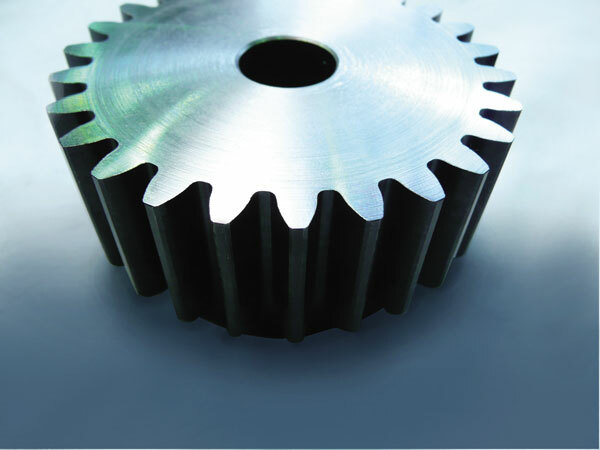 Different fixturing or chuck jaws allow the standard machines to chamfer a wide range of gears. Plus, because of the tracing technology used, highly accurate positioning of the gear is not required. Once in position, the vertical cutter axis is positioned using an adjusting wheel (Figure 2). The vertical position of the cutter axis controls the depth of the chamfer, while the cutting tool used controls the angle of the chamfer. Once the gear is in position and the cutter axis is set, the work spindle and cutter spindle begin rotating. As the work spindle turns the stylus follows the periphery of the part, guiding the cutter spindle as it creates the chamfer. Once a full rotation is completed, the spindles stop turning and the part is completed. All this is accomplished with no computer programming (Figure 3, Figure 3 (Right)). 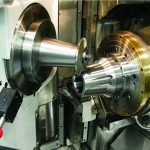 SENJO SEIKI offers standard machines for parts with a diameter up to 17 inches, and application-specific machines for gears up to 10 feet in diameter. 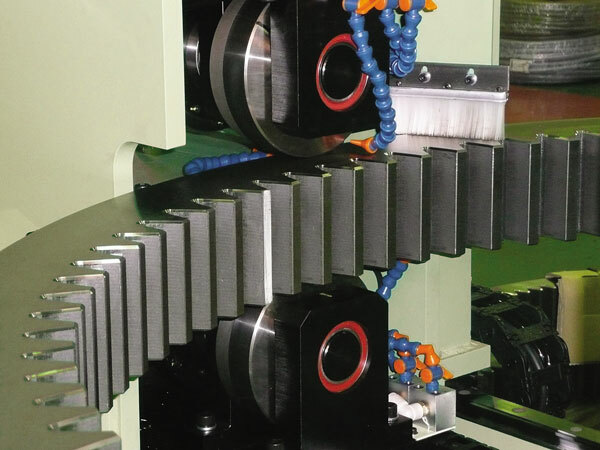 In order to meet the chamfering requirements for numerous types of gears, SENJO’s application-specific machines can incorporate features such as horizontal cutter axes, dual cutter heads, inclined workpiece or cutter axes, or brush finishing units. 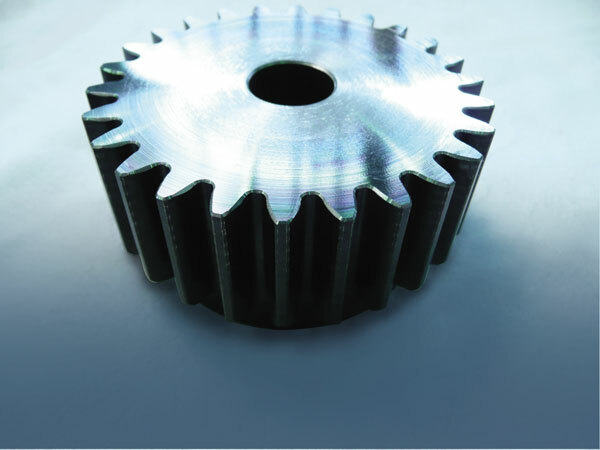 These features allow the chamfer of all types of gears including spur, helical, bevel, worm, and pinions, etc. 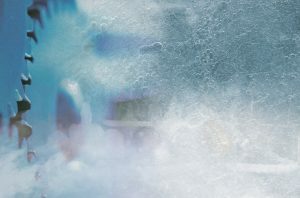 Additionally, by incorporating various types of automation, SENJO can help incorporate this crucial process into today’s increasingly automated production environment. SENJO engineers work closely with CENTRIC and the customer to determine what the best machine solution is for an application. The process starts with a review of the drawings of the gears that the customer needs to chamfer. 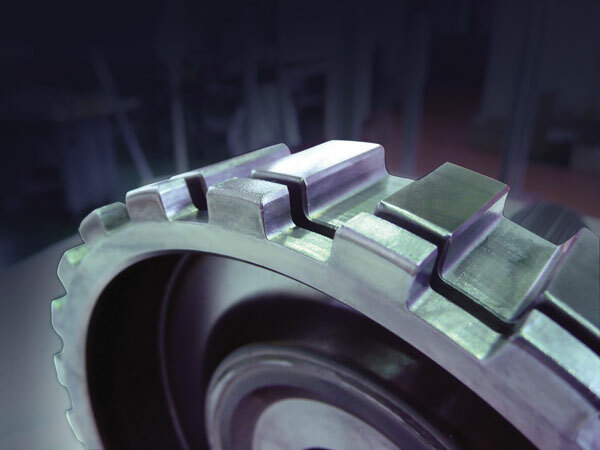 Next, if possible, actual gears are provided to SENJO to provide test cuts that demonstrate the quality and consistency of chamfers. 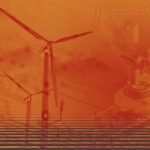 If it is determined that a standard machine will not meet the full requirements of the application, a proposal is developed for an application-specific machine that often includes machine designs and cycle times. Regardless of the proposed solution, the same basic setup and machining concept is utilized. 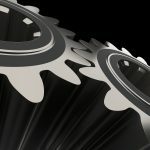 For one gear manufacturer, their challenge was processing a split timing gear that incorporated a narrow channel between the gears. They needed to be able to chamfer both the top and bottom edges of this channel that offered less that 3 mm of space. 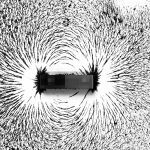 Prior to adding a SENJO PLC machine this process was completed manually using files and steel brushes. 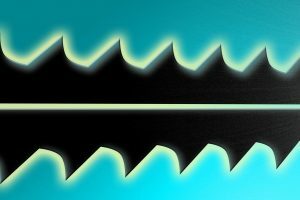 It was virtually impossible to create a consistent chamfer due to the angle of the teeth and the limited space within the channel. 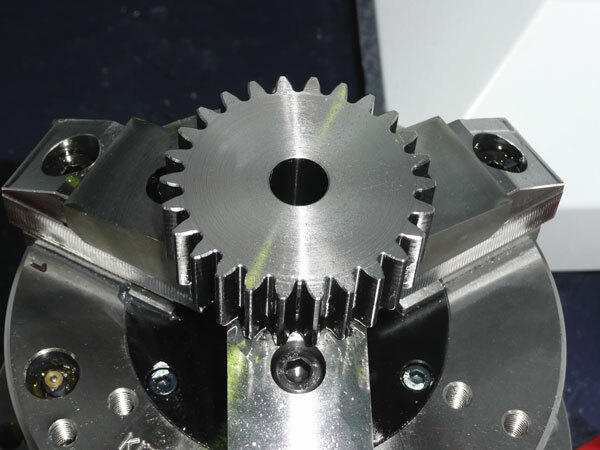 SENJO’s solution was to design a machine that incorporated two horizontal cutter axes combined with a brush unit that completed the final finishing and cleaning of the gear (Figure 4). 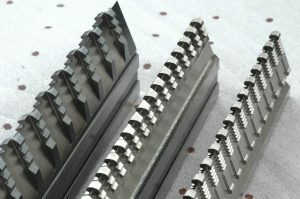 The cutter axes were easily able to simultaneously chamfer both edges of the gear channel using 45-degree end mill cutting tools. 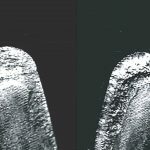 The result is a measurable, consistent chamfer around the periphery of the channel and an esthetically clean, burr-less part (Figure 5,Figure 5). 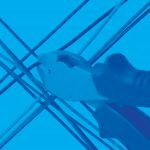 While this solution incorporated manual loading and unloading of the parts, many SENJO solutions incorporate complete automation that integrates seamlessly into any automated process line or cell. For applications requiring automation, SENJO engineers work closely with the customer to help ensure the fastest cycle times are achieved. This often includes incorporating conveyors with gantry-type part handling and/or robotic loading and unloading systems. For one customer located in the eastern United States, three application-specific chamfering machines are fully integrated into an automated line that processes forged parts, resulting in completely unmanned operation. 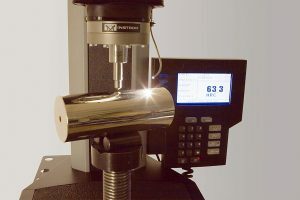 Since incorporating the machines they have experienced drastic reductions in their overall cycle times, since the chamfering process is no longer a secondary operation. 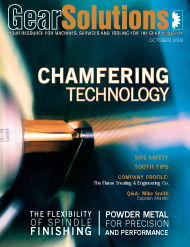 Large gear manufacturers have already made a huge investment in their gears by the time they reach the chamfering stage, yet the only method available for them is a hand grinder and hours of work, which often results in highly inconsistent chamfers. And given the gear sizes, their investment in the manual labor required to chamfer their gears can be enormous. For these customers SENJO’s large gear machines provide a fully automated solution that can take hours off the cycle time for completing each part. These machines can be designed to chamfer either the inside or outside diameters of a wide range of gear sizes. Loading can be accomplished manually, or conveyor systems can be incorporated to load the gears. Additionally, multiple cutter axes can be used for simultaneous chamfering of the top and bottom of the gear, or a single head can move to the top and bottom of the gear for independent chamfering. 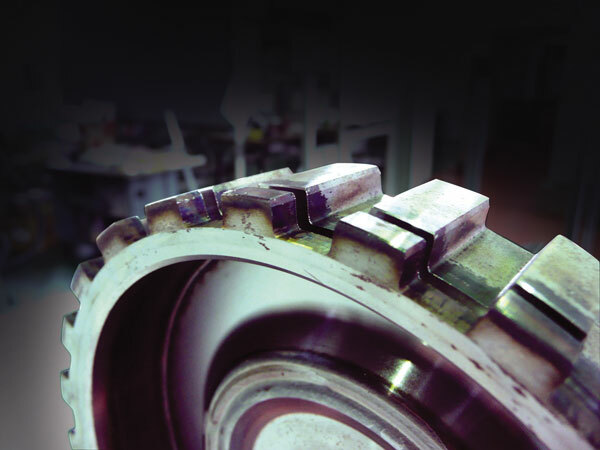 Regardless of which design is used, the need to turn these large gears to complete both sides is eliminated, reducing safety concerns as well as minimizing labor requirements. In conclusion, manufacturers need to know that gear chamfering no longer needs to be an afterthought. 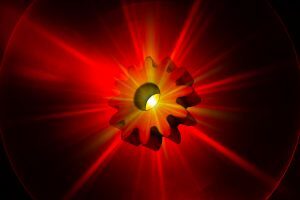 With the huge advancements that have been made in gear technology, and the increased demands of manufacturers for near-perfect gears, there is a new technology available that overcomes the impasse that previously limited the gear industry with respect to the chamfering process. 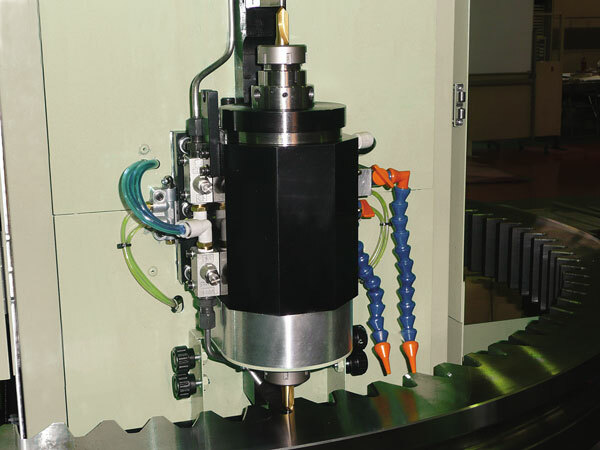 SENJO SEIKI has brought this once-overlooked process out of the back corner of the shop to make it an integral part of the gear manufacturing process, producing cost-efficient gears that are of a higher quality and more reliable than ever before. Contact Weinberg at (815) 546-3285 or eweinberg@centric-intl.com. Go online to [www.centric-intl.com]. Company Profile: The Flaming Treating & Engineering Co.